Would you like to hear about discounts? Sign up with your email address to receive discounts! Coffee lovers can finally relax! Removes the remaining caffeine in your body from the day to promote a rest at night. Daily De-Caffeinate is for those who have a caffeinated lifestyle. Drink your coffee, power through your day, and then use Daily De-Caffeinate to get rid of your caffeine & its effects (jitters, unwanted stress, wakefulness). Let your body get the rest it needs. Many people choose to use this product to calm down in the evening, without having to give up their favorite caffeinated beverage in the day. Caffeine disrupts your sleep. Even if you can fall asleep easily you are missing out on the deep sleep that your body needs. Our formulas were developed from the Evodia fruit (left) in the USA by a pharmacist team in partnership with University of the Pacific. Caffeine is already naturally broken down by enzymes in your body. Different fruits and vegetables can increase or decrease the activity of these enzymes. This happens in your body every day. Our products de-caffeinate your body by increasing the rate of caffeine breakdown in your body. Research on caffeine and rutaecarpine. While you wait for your order - Let us help you rest. The only sleep aid I’ll take. I don’t know how it works (and I don’t really care), but it worked for the two consecutive nights I took it. I popped only 1 pill instead of the recommended two pills. — MyBeesWax "A Music Fan"
Sleep doesn’t come easy for me. I’ve tried many natural aids from Gaba to Melatonin and though they help, rarely do I get a full nights rest from them. 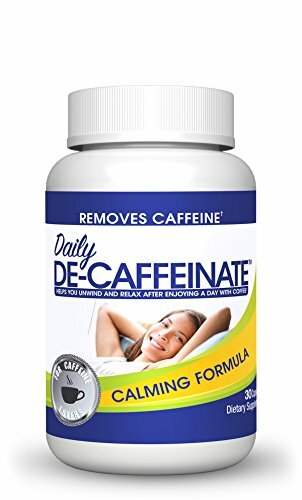 Daily De-Caffeinate boasts that it is proven to remove caffeine levels from the system while it calms us down for slumber. On the night I tried it, I had a craving for coffee after dinner and though that is usually way to late for me I thought it would be a great opportunity to try my newly received Daily De-Caffeinate. I took my pills at 8:00 (they recommend two hours prior to bedtime) and seriously, as if preprogrammed in my subconscious, two hours later I was ready to dive into bed; so I did. I was in a deep sleep for 4 hours when I woke up (at first I thought this was the Melatonin wake up cycle - 3 hours and I’m up) but I was able to fall back asleep a few minutes later. I tried it again the next day without the coffee in my system and the same thing happened - two hours later I’m out like a light. Best news is - NO GROGGINESS THE NEXT MORNING! Ruta is hands down better than my experience with Ambian (which did not work for me without grogginess and some stomach distress) and Melatonin on its own. I take two. I have not had trouble sleeping since using it. Great Product with no side affects so far. 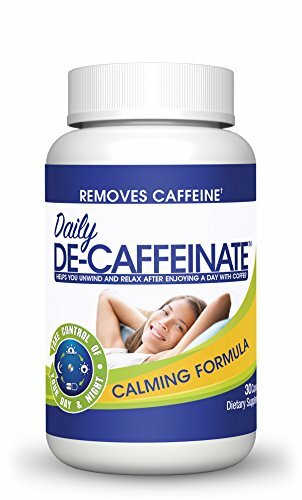 Daily De-Caffeinate: Sleep aid for coffee and caffeine lovers! Remove caffeine at night for a deep sleep and anxiety relief! Please contact us with any questions, wholesale or partnership inquiries.